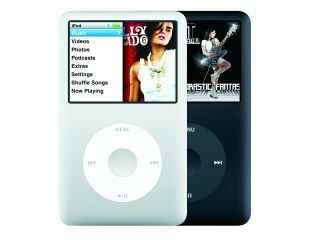 Apple's iPod - choc full of DRM-free tunes for 6 - 8 euros monthly soon? Sony BMG's chief exec Rolf Schmidt-Holtz has finally gone on record to state that the label is keen to launch a subscription service for music customers to download as many DRM-free tunes as they want. There has been much talk of late as to the value of unlimited access subscription download services, so it's great to hear the head honcho from one of the four major labels confirm that such a service is a near-future reality. "The simplest option would be a flat rate under which a monthly payment would provide access to our entire music catalogue for all digital players, including Apple's iPod. "It is even possible that clients could conserve some songs indefinitely, that they would own them even after the subscription expired," he added. When quizzed about the cost, Schmidt-Holtz gave an estimate in the range of €6 - €8 a month, which seems rather reasonable to us. Sony BMG is in talks with a number of major music distributors and mobile telephone companies in regard to getting the project off the ground, possibly later this year. TechRadar has contacted Sony BMG in the UK for further comment.